For more photos of the Aurora Centre and Monopoli, please see the photo gallery. Imagework is a method I’ve developed over many years of teaching people how to tap into their radical imagination – or what can also be called the genius imagination – that level that goes beyond the cultural imagination, is in our highest best interest, and is more universal. 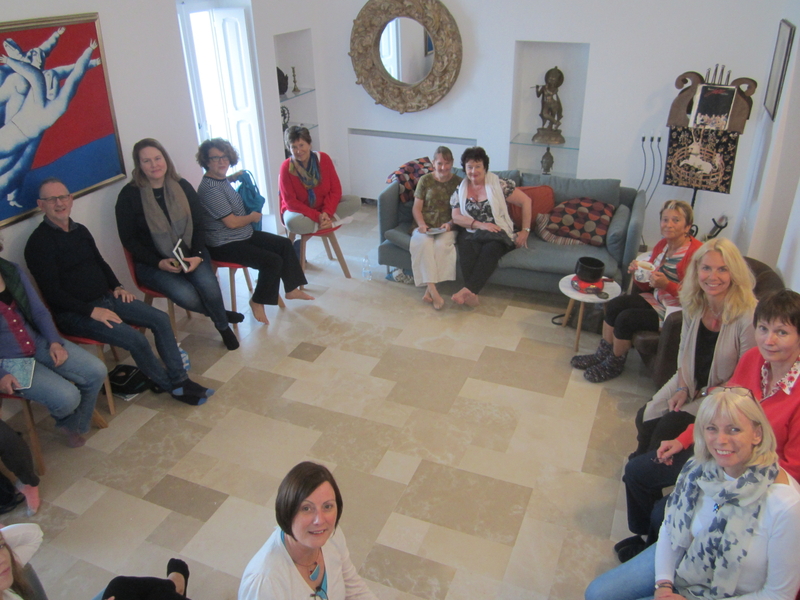 The main purpose of the centre is to teach those of you working as therapists, counselors or consultants, how to help the people you work with tap into this deeper level within themselves using Imagework. To help you build an Imagework toolbox from which you can help others harness their own inner imagery, enquiring into their inner world so that they can live and act more effectively in the outer world. After many years of using Imagework in my own psychotherapy practice, I am now hoping to share the practice with others through the education and coursework offered at Aurora, to help other professionals incorporate Imagework into their existing practice and to add momentum to the spread of Imagework in our community. Over time, I hope that Aurora will grow into the community-oriented, experiential training centre I discovered deep in my own radical imagination. Of course, we also extend this opportunity to those of you who want to explore the use of Imagework in your own lives, and to do so alongside professionals who help others. (If you are interested in exploring Imagework in your own life, see information on our Imagework Autum Retreat below). 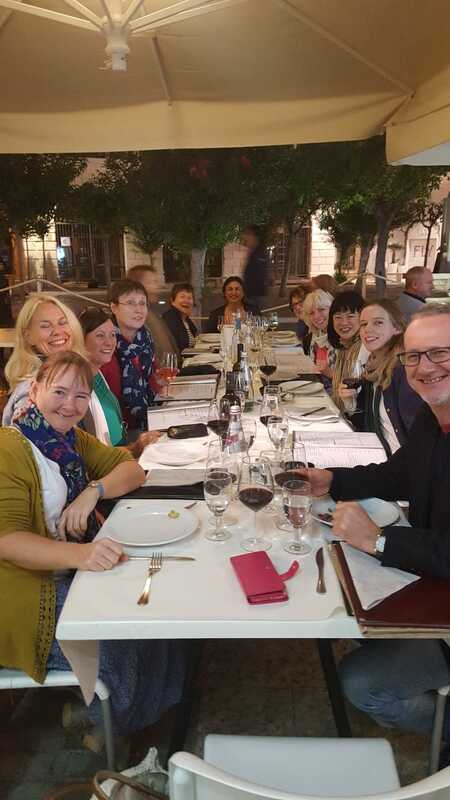 Community has been one of the strongest motivators in building Aurora – both in terms of extending and growing the community of Imagework practitioners throughout the world, and in setting the informal, friendly and relaxed atmosphere of community we love at Aurora. Everything about Aurora is designed to make you feel at home – from the homelike atmosphere of the centre itself, to the sharing of casual, “family” meals centered on rustic, healthy Italian food created from locally produced, high-quality ingredients. Join our diverse, yet like-minded community as we support each other in exploring the powers of the radical imagination and through a better understanding of others, simultaneously improve our understanding of ourselves. 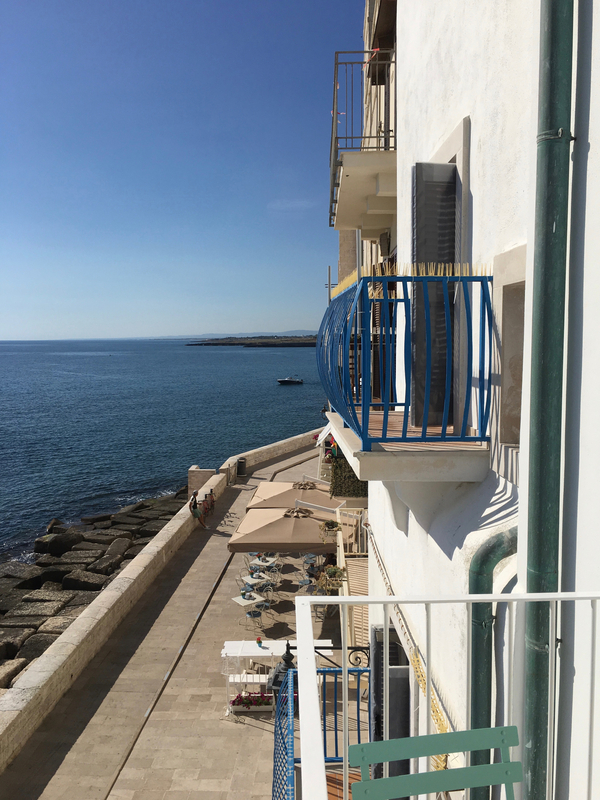 Puglia is a special place indeed. Tucked away in the sole of Italy’s boot, it is naturally beloved by Italian holiday makers but somewhat lesser known to the rest of the world. 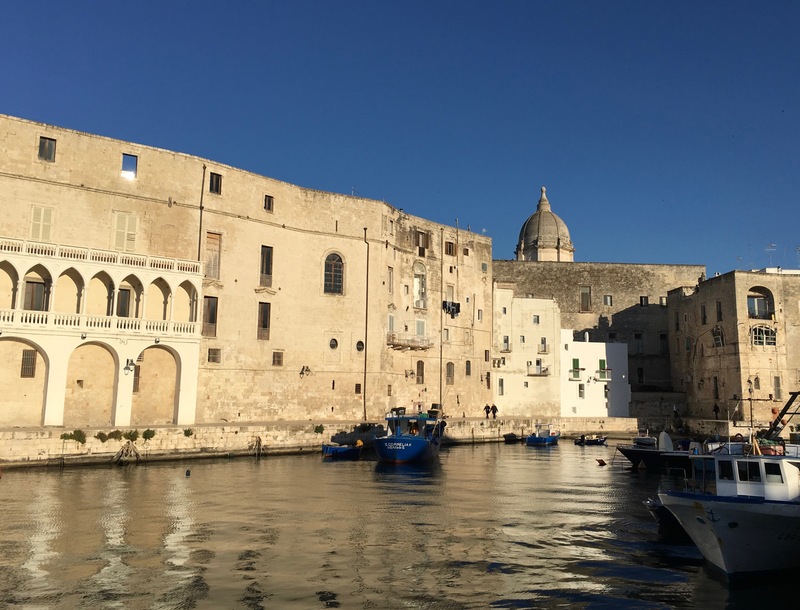 The world flocks to the likes of Rome, Venice, Tuscany, The Amalfi, while the rustic, cacti covered, foodie paradise of Puglia remains somewhat undiscovered. This sun-baked region of Italy has a rich culture of simple pleasures, long sandy beaches, beautiful coastline, and a delicious rustic cuisine. Monopoli’s name belies its Greek origins – “monos polis” meaning unique, singular city. Today’s Monopoli is a unique combination of bustling commercial center and charming historic center, with a long and prosperous fishing tradition. 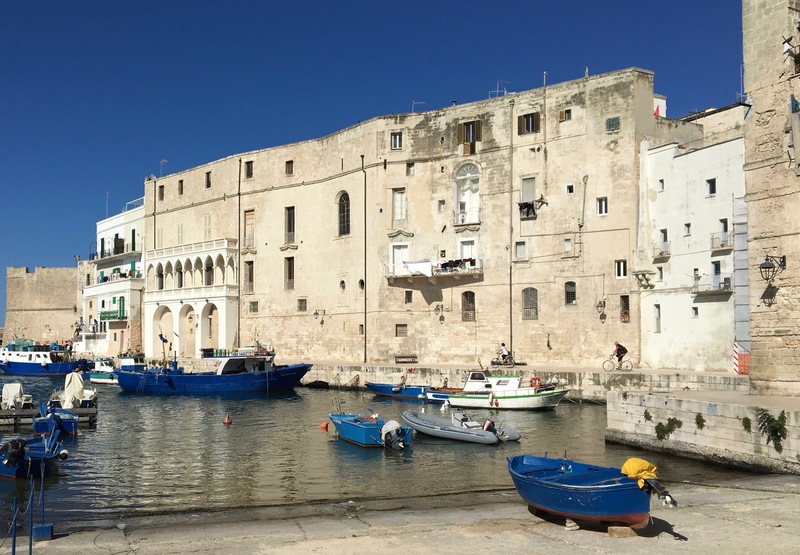 Founded by the Greeks, taken over by the Romans and beset by various invaders, Monopoli was a thriving port down under the Byzantines and Normans. In the 1400’s it was annexed by the Republic of Venice, and enjoyed a centuries-long affluence that put it in league with other maritime powers like Amalfi, Genoa and Venice. It’s superb position in Puglia between the seas, made it strategic and prosperous. Just near to Aurora’s waterfront location, the Porto Vecchio still harbors fishing boats as it has done for hundreds of years. Visit the beaches and inlets where the colorful crafts are docked and where fisherman still mend their nets. The Old Town where Aurora is located is dominated by its still-solid castle built in 1552. Castello Carlo V was erected by the Spanish rulers of the time as a stronghold on the sea. The other distinctly visible monument is the cathedral and its towering belfry that rises high above the town. The cathedral is dedicated to the Madonna della Madia, who arrived here by sea on December 15, 1117, according to legend, on a raft bearing 31 wooden beams for the roof supports of the basilica. The event is recreated annually during the patron saint’s celebrations. 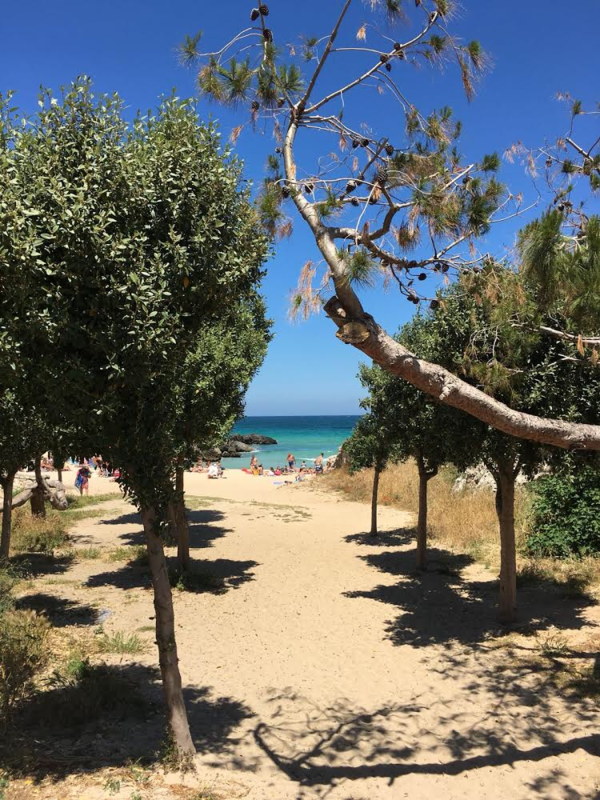 The area is beautiful, with clear blue seas and miles of olives, orchards and almonds spreading out across the countryside just inland. The coastline is approximately 14 km long, short and jagged with over 25 stunning coves and sandy public beaches. Monopoli is near Polignano a Mare, Ostuni and Alberobello, and is equidistant from Bari and Brindisi, both just 45 minutes away. 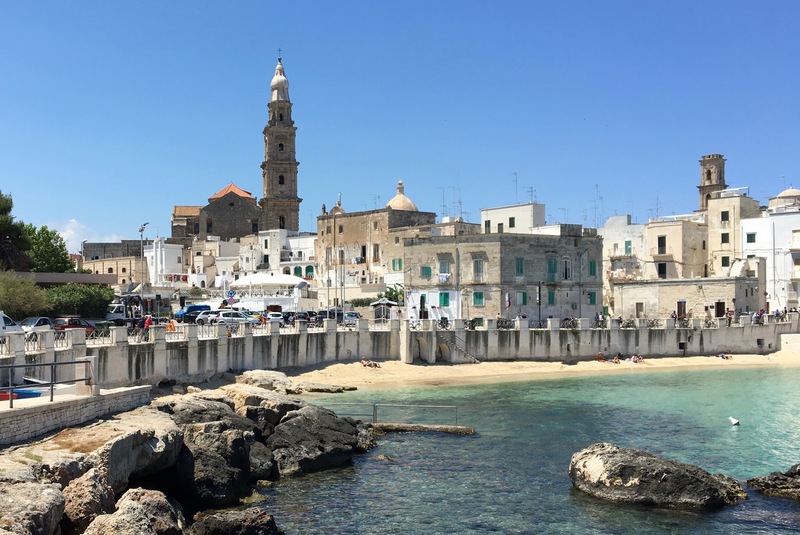 Welcome to this opportunity to step back and revision your life in the company of like-minded people, this time in the charming Puglian old-town of Monopoli, held in a beautiful venue overlooking the sea. Our Imagework Autumn Retreat at the new Aurora Centre is open both to those who have experience with Imagework and those interested in exploring together with Dina for the first time. Our theme this autumn is Imagination and Transformation: Is it now or never? 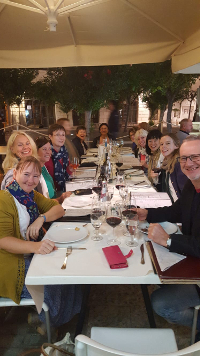 Join us and explore the surprising insight of your genius imagination, enjoy the warm and loving support of our Imagework community, and experience the beauty and tastes of Puglia. 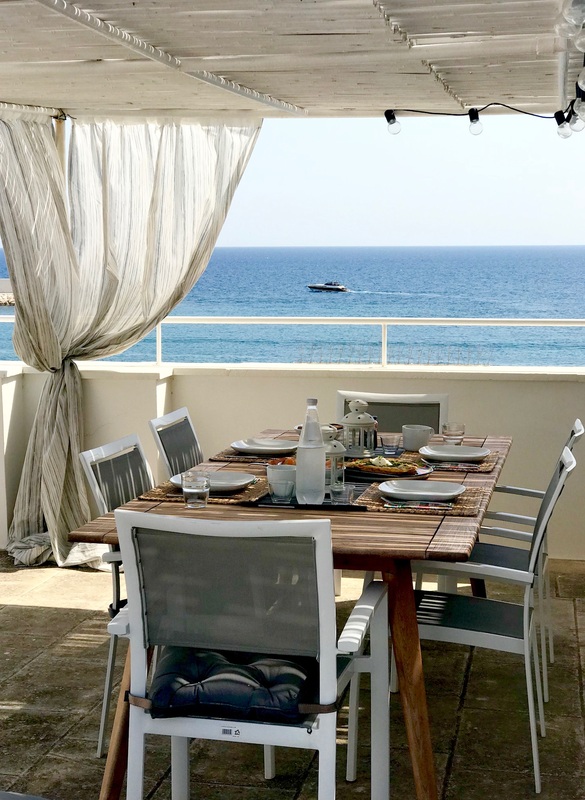 Your accommodation will be in your own beautiful modern apartment with ensuite facilities and the course is held in a beautiful room overlooking the sea. 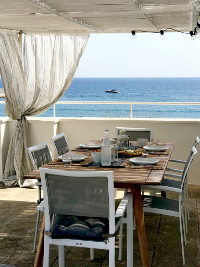 Then of course there will be drinks and antipasti on our fabulous roof terrace also overlooking the sea, while the beaches, cafes and restaurants are moments away. Plus Puglia has a reputation for some of the best food and wine in Italy, and that’s saying something. Dr. Dina Glouberman is the visionary co-founder of Skyros Holistic Holidays, the author of several books including The Joy of Burnout, and an international coach, consultant , trainer and psychotherapist. For more details, see ‘What I do‘. Dr Raj Thamotheram is a social change activist with 30 years of experience including top roles in the financial sector and development NGOs. He has learnt about resilience because he had to! For more details of his work, see preventablesurprises.com.